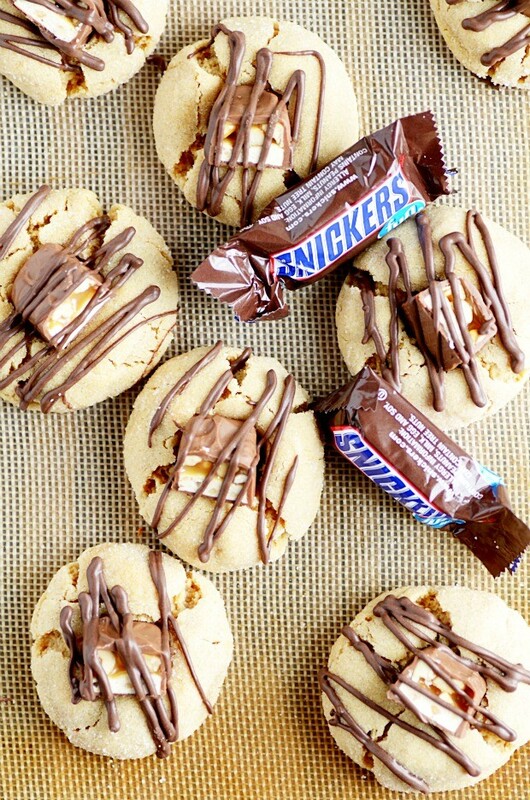 Puffy clouds of soft and chewy peanut butter cookies topped with a snickers and a semisweet chocolate drizzle. My mom made them a lot when I was growing up, so they always remind me of her. 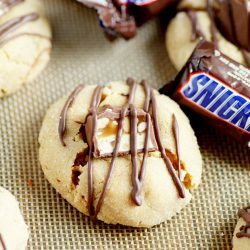 My favorite cookies that she made were peanut butter blossoms– you know, the peanut butter cookies with a Hershey’s kiss pressed in the middle. I think I loved those so much because it was kind of like getting a two-fer. 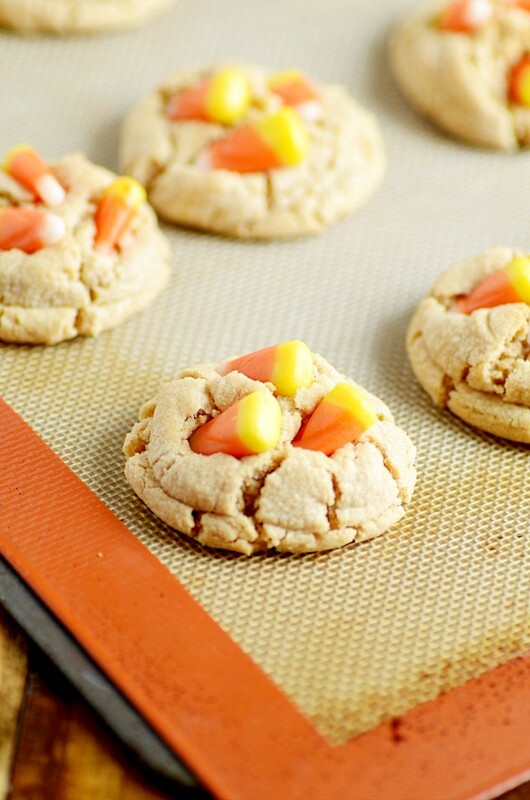 You got the cookie, but you also got a piece of candy on top. As a kid, I totally felt like I was getting away with something there. As an adult, I still kind of feel the same way. But I needed to upgrade the Hershey’s Kiss. So I used Snickers (my favorite candy du jour), and now I know I’m getting away with something when I eat these! 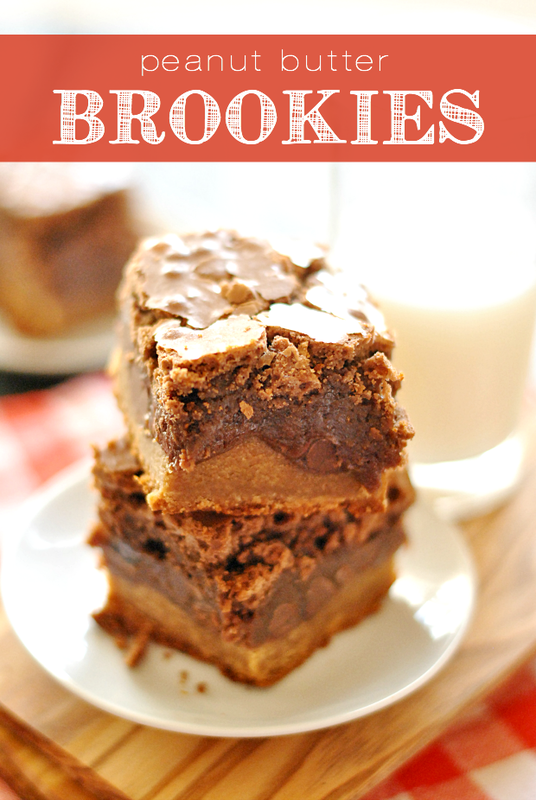 Cookie + candy bar = 2 desserts in one. But it only counts as one, which is pretty much winning at life ????. 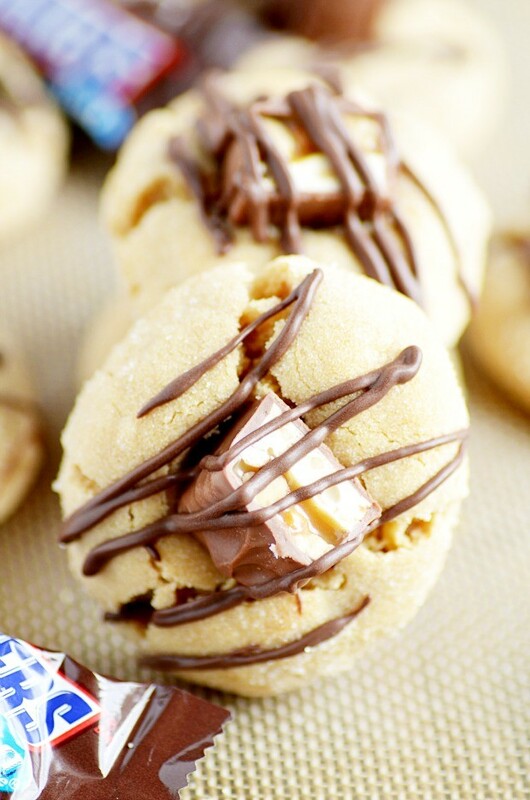 Texture is king when it comes to these cookies. 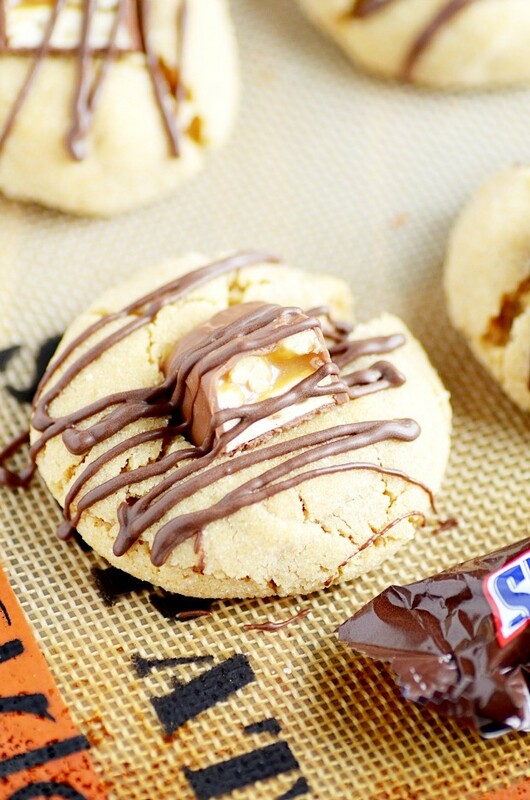 With soft, puffy peanut butter cookies, the chewy caramel and nougat of the Snickers candy bar, and the hardened chocolate drizzle on top, every layer has a different kind of bite. And when they all three come together, it’s like a cookie harmony. It just works. 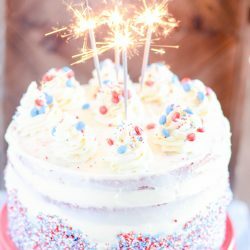 Using an electric mixer or stand mixer, beat together the butter and sugars. 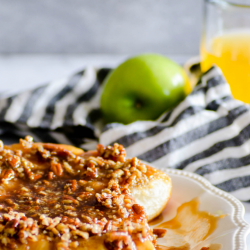 Mix in the egg, peanut butter, and vanilla. Mix in the flour, cornstarch, and baking soda just until dough forms. Scoop out cookie dough by 2 tablespoons and roll into balls. Place on ungreased baking sheet 2 inches apart. Bake for 9 minutes. 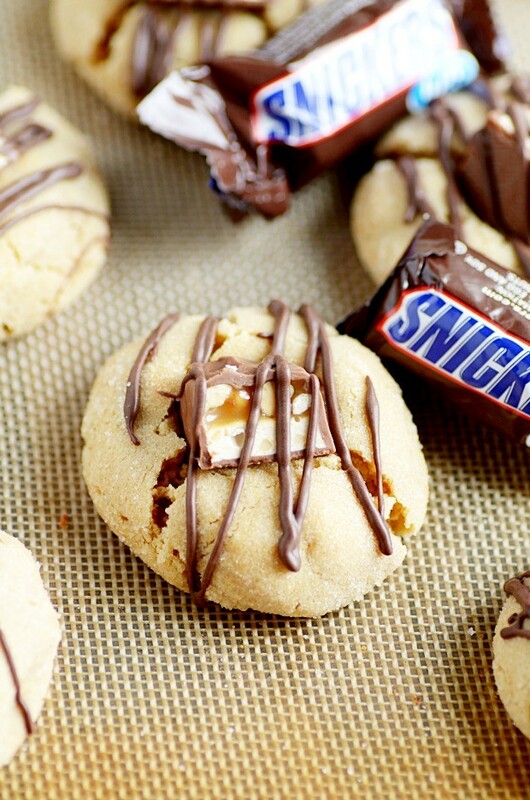 Cut the Snickers candy bars in half and immediately place a piece on each of the warm cookies. 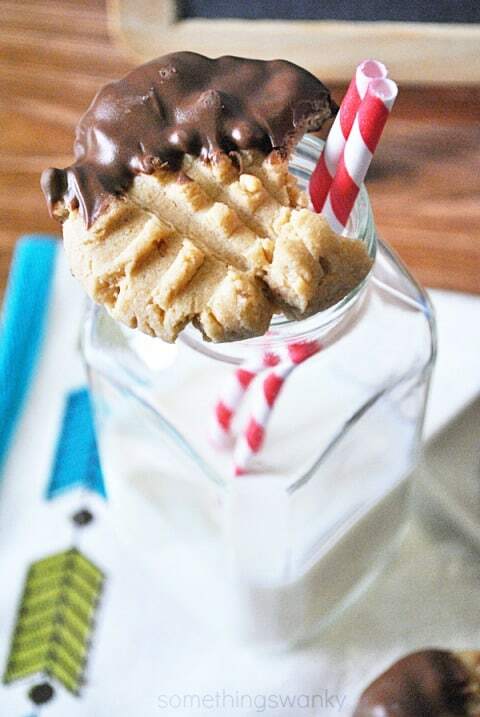 Melt the chocolate and drizzle it over each cookie.